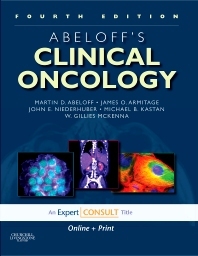 Carrying on the tradition established by its founding editor, the late Dr. Martin Abeloff, the 4th Edition of this respected reference synthesizes all of the latest oncology knowledge in one practical, clinically focused, easy-to-use volume. It incorporates basic science, pathology, diagnosis, management, outcomes, rehabilitation, and prevention – all in one convenient resource – equipping you to overcome your toughest clinical challenges. What's more, you can access the complete contents of this Expert Consult title online, and tap into its unparalleled guidance wherever and whenever you need it most! Equips you to select the most appropriate tests and imaging studies for diagnosing and staging each type of cancer, and manage your patients most effectively using all of the latest techniques and approaches. Explores all of the latest scientific discoveries' implications for cancer diagnosis and management. Employs a multidisciplinary approach - with contributions from pathologists, radiation oncologists, medical oncologists, and surgical oncologists - for well-rounded perspectives on the problems you face. Offers a user-friendly layout with a consistent chapter format • summary boxes • a full-color design • and more than 1,445 illustrations (1,200 in full color), to make reference easy and efficient.